Hashimoto’s thyroiditis is a common autoimmune disease. 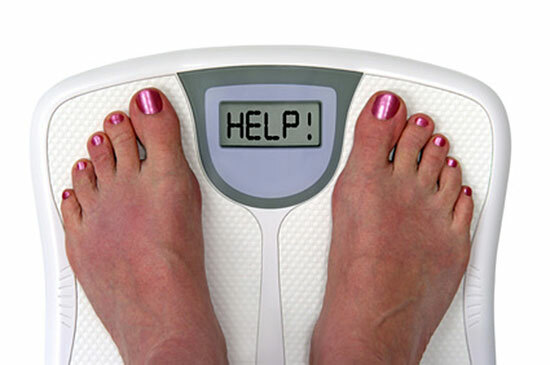 It is also the most common cause of hypothyroidism, and affects women 8 times more than men. Your immune cells, which normally defend your body against harmful viruses and bacteria, attack your thyroid gland, causing it to become underactive and inflamed. This attack impairs your thyroid tissue and the production of hormones needed for your metabolic processes. Left untreated, Hashimoto’s disease can lead to the development of other autoimmune conditions such as lupus, diabetes and rheumatoid arthritis. The symptoms of Hashimoto’s thyroiditis can be subtle and resemble the signs and symptoms of other illnesses. For this reason, diagnosis is often missed or mistakenly attributed to the normal process of aging. You might suffer for years with a variety of symptoms but fail to receive a diagnosis or treatment from your medical doctor. People with Hashimoto’s thyroiditis often don’t sleep well, and feel tired no matter how much sleep they get. Though the symptoms most often correspond to underactive thyroid, a telltale sign of Hashimoto’s is symptoms that swing between sluggish and hyperactive thyroid function. This fluctuation happens because your thyroid gland is being attacked and the tissue is less able to produce hormones yet during cell die off it temporarily releases too much thyroid hormone. Hashimoto’s thyroiditis can be detected through a blood test to check Thyroid Peroxidase (TPO) antibody levels. Though this level can fluctuate, if your test result is quite high, this confirms the diagnosis. With treatment, this condition is very manageable. There are several successful treatments available, both medical and natural. Natural treatments work to reduce systemic inflammation, normalize hormone output and optimize hormone conversion. 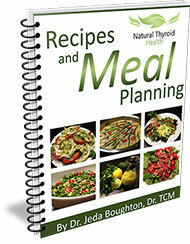 Most allopathic doctors will prescribe synthetic or natural thyroid replacement medications. Medication can help your system function but it will not address your underlying autoimmune disorder. If you do decide to take a thyroid prescription, it’s important to address your general condition at the same time. Dietary and lifestyle changes to reduce stress, which contributes to the burnout of your thyroid, are key to repairing your thyroid and feeling better. Though you may be lacking energy and craving caffeine or sugar, it’s best to stay away from these, they increase the stress on your thyroid gland and destabilize your blood sugars. Start by eating plenty of fresh whole foods, protein with each meal, and adding healthy fats to your diet. Healthy fats include avocado, fish, olive oil, full-fat cheese, yogurt and coconut oil. Spend time doing relaxing, restorative activities such as stretching, reading, walking, drawing, writing, and deep breathing. Keep routine in your day and exercise moderately. It can feel like your thyroid and fluctuating energy levels rule your life, so stay patient with your body. With proper treatment you will gradually feel your strength, stamina and energy increase!